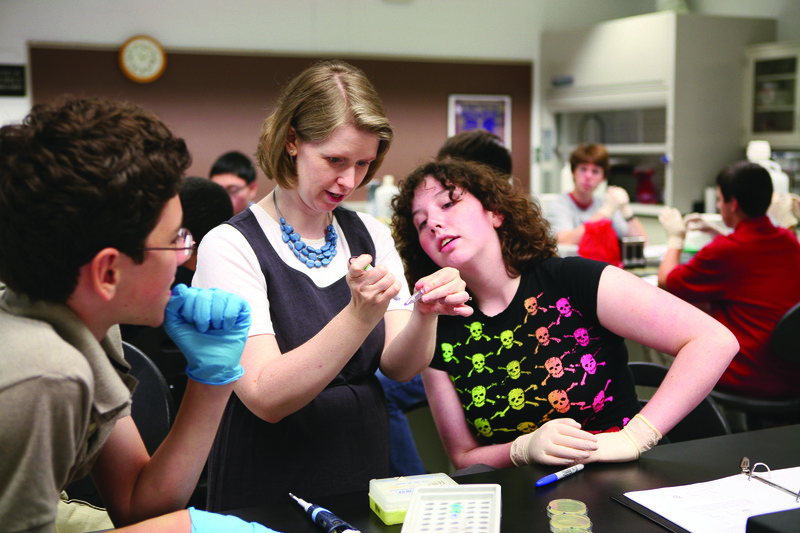 LTU Associate Professor Julie Zwiesler-Vollick (center) works with high school students in the Forensic Summer Science Institute. Students can commute or live on campus to get a glimpse of college life. Residential campers live in student housing, eat in the cafeteria, and participate in organized activities each evening. Current Lawrence Tech students will be on hand to assist campers. Camps cost between $400 and $765, based on subject and whether the student lives on campus. Registration closes June 1. Come to a Blue and White Day (www.ltu.edu/blueandwhitedays) on Lawrence Tech’s campus, and save $50 per camp. Early registration is recommended as the camps fill quickly. Additional information and all registration forms are found at www.ltu.edu/summercamps. For more information, contact Assistant Provost Lisa Kujawa at summercamps@ltu.edu.